A one-day workshop by the Frama-C community, gathering researchers and engineers around shared experiences and new perspectives. 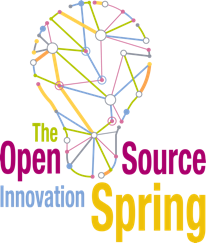 We're a proud contributor to the Open Source Innovation Spring, highlighting the excellence and international success of innovative projects stemming from French industries and research programs. Frama-C Day 2016 will take place on June 20th, 2016 at La Maison de La Recherche, Paris 7th Arrondissement. As software verification activities get more and more complex and expensive, developers and users need methodologies and tools to perform them in an optimal manner. On the other hand, third-parties have to find ways to trust the verification evidence that are provided, especially regarding standards and normative requirements. In particular, Bureau Veritas has to understand the Frama-C tool in order to assess its outputs or perform directly the analysis. Designed during the FP7/STANCE project, the CURSOR method aims at detecting categories of common weaknesses in the source code, and generating the corresponding counter-measure calling contexts. This intends to strengthen applications potentially exposed to attacks based on identified families of flaws in the code. The method relies on a runtime-assertion checking approach, and is tooled by means of the Frama-C platform. CURSOR was successfully experimented on some Apache server libraries. Many dynamically allocated resources like memory, semaphores and interrupt enable/disable require a similar kind of analysis to demonstrate correct usage. To prevent long term resource starvation, any resource claim must be released on all subsequent branches of control flow. For cases where claims and releases are repeatedly made using the same resource identifier, an integrated data flow analysis is needed to complete the analysis. We have developed a prototype plug-in that performs this analysis in the context of malloc/free pairs, but is written in a generalised way that is easy to adapt to other resource claim/release patterns. 11:30 - 12:00: SPEEDY: Specification editing, checking and discovery for C programs with ACSL specifications D. R. Cok, GrammaTech, Inc. The SPEEDY tool intends to simplify the task of applying formal methods in the context of typical software development environments. The incarnation of SPEEDY described here targets C programs with ACSL specifications. The tool combines four elements: (a) enhancing the Eclipse development environment for C programs with first-class support for ACSL, (b) adding functionality and text to aid users in understanding how to write specifications, (c) integrating tools that check specifications, such as Frama-C, showing the success or failure of verification attempts in the Eclipse GUI, (d) integrating tools and algorithms for inferring specifications from the source code. The development of SPEEDY was supported by NASA (Contract #NNX14CL05C) and executed by GrammaTech, Inc.
Embedded control systems are amongst the most critical systems. Their behavior is specific: they have an infinite behavior in which, at each loop iteration, a sensor input is read, computations are performed, and an output is produced on actuators. A first part of the talk will focus on proving the bounded behavior of those systems, guarantying the absence of overflow despite their infinite behavior. Those systems are typically designed using high level models such as Matlab Simulink, ANSYS Scade or Lustre. Then they are compiled into embedded C code. These models are well suited to perform functional properties verification, eg. using k-induction-based model-checkers. But the expression and the analysis of those properties is more difficult at code level. We propose a methodology to compile these model-level specification and associated model-checking proofs into C level artifacts. Once produced we rely on Frama-C/WP to revalidate them, at code level. These results benefited from numerous collaborations including X. Thirioux (IRIT), P. Roux, T. Kahsai (NASA/CMU), E. Feron (Georgia Tech), G. Davy (Onera), H. Herencia-Zapana (ex-NIA, now GE), R. Jobredeaux (ex-GT), T. Wang (ex-GT, now UTRC). Why3 is a tool for deductive verification of imperative programs. Why3 and its predecessor, Why, have a long history of collaboration, both technical and human, with Frama-C. In this talk, we revisit the roots of this collaboration, assess its current state, and venture into possible future developments. In particular, we make a case for an interface between ACSL and high-level specification facilities available in Why3, which include type polymorphism, variant types and pattern matching, fine-grained specification libraries, and a way to ensure consistency of an axiomatization by realizing it in a sceptical proof assistant like Coq or Isabelle. Functional properties of reactive, synchrone software are naturally specified and encoded into Lustre Observers. In practice however, such an embedded software would not be completely generated from synchronous models, but would contain a large amount of manually written C code. One can thus be required to verify its Lustre properties directly from the C code.We show how to use the combined power of Value Analysis and WP interfaces to develop a Frama-C plug-in extracting a Lustre model of this synchronous behaviour from C source code, and to verify some of its properties with GaTEL. This constitutes a step forward in the proof of complex safety systems, and the very first experiment combining these three major technologies from our laboratory. A major evolution of the Value plugin is released with Frama-C Aluminium. It is now possible to plug-in new domains, that collaborate with the legacy analysis to reduce the number of false positives. One of the objectives is to tackle more challenging verification problems automatically. In this talk, we first explain the new domains that are already available in Aluminium, and on which code constructs precision is increased. This includes l-values used multiple times, and codes that involve shifts. We then explain which further improvements are forthcoming, and on which kind of software we expect them to perform well. This talk will present the new Frama-Clang plug-in, which aims at providing a C++ front-end to Frama-C. As its name suggests, Frama-Clang relies on the Clang compiler for the parsing and type-checking of C++ code. We will see how the necessary information can be extracted from Clang's AST to build a valid Frama-C AST and how it is possible to extend Clang to parse and type-check ACSL(++) annotations together with the code itself.